These two are like brothers fighting over toys. This morning, Telus filed legal action against Rogers for misleading advertisements claiming that Rogers is “Canada’s fastest network”. Rogers has been running these ads, along with another one whose slogan is “Canada’s fastest network: two times faster than any other” since 2007. We have seen them all over television and billboards, but now Telus says they are false! With the launch of the Telus HSPA+ network, which matches network speeds with Rogers of up to 21Mbps, Telus may have a point here. Rogers may no longer be the fastest network in Canada and Telus seeks to prove it. Since both carriers have equal speeds in theoretical tests, both Rogers and Telus may have the same network speeds. Point: Telus. 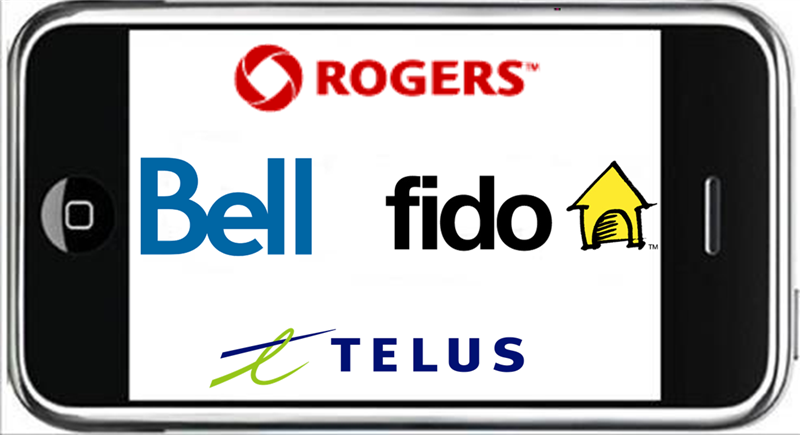 However, Telus is also claiming that another Rogers advertsiement is false, in which Rogers states that they have “Canada’s most reliable network”. Telus claims this is false since the Telus HSPA+ launch. While Telus may have had a point with the speed, I think they lose here. I recently had the chance to stress test a Telus iPhone 3GS and I found something amazing. As Telus/Bell iPhone customers are probably just finding out now, when your reception on your Telus/Bell device drops off 3G, you have a dead phone. No internet, no SMS, no emails, nothing. I had a Rogers iPhone 3GS and Telus iPhone 3GS side by side and the Rogers iPhone was still connected to EDGE (slow, but functional) where Telus was connected to “No Service”. How could that be? What does this mean? Well it’s simple. Settings > General > Network > Turn OFF 3G. While Telus/Bell may have a new network, it is definitely NOT the most reliable. There will be areas in which the Telus/Bell network will lose signal, no matter how good their network coverage is. The same goes for Rogers. The difference here is when a Rogers iPhone loses 3G signal, it drops to EDGE and continues to sit on its GSM foundation and be a usable, functional device. When a Telus/Bell iPhone lose 3G, those iPhone’s lose all signal. I cannot imagine how a business customer would deal with this, let alone regular customers. Rogers/Fido Name Display Does Not Work With iPhone?